The basic rule of budgeting are pretty straightforward: Don’t spend more than you take in, and cut out the nonessential spending first. None of us really need to be swinging by Starbucks every morning, or eating out twice a week, or filling our carts at Target with cute stuff we could easily live without. And down most of us know that, even if we don’t always abide by it. In fact, this general principle is even the basis for the 31 Days of Living Well & Spending Zero challenge here at LWSL. Thus while tempering that non-essential spending is super important for a healthy financial life, it is also a very smart idea to regularly take a good hard look at those things we DO need to spend our hard-earned money on, things like electricity and water and utilities. After all, none of us want to to pay more than we have to! Turning down the heat in the winter and the air conditioner in the summer is one of the fastest ways to see a significant savings on your electricity bill. Here in Florida we try to keep our A/C set to no less than 79 degrees, which still feels comfortable and cool compared to the outside temperature. In cooler climates, try keeping the thermostat set at 68 during the day and then turning it down to 65 at night. For additional savings, be sure to also set the temperature lower while you are away. Likewise, turning down the temperature on your hot water heater can make a significant difference as well. According to the U.S. Department of Energy, reducing your temperature from 140 degrees to 120 degrees will save at least $2 a month. 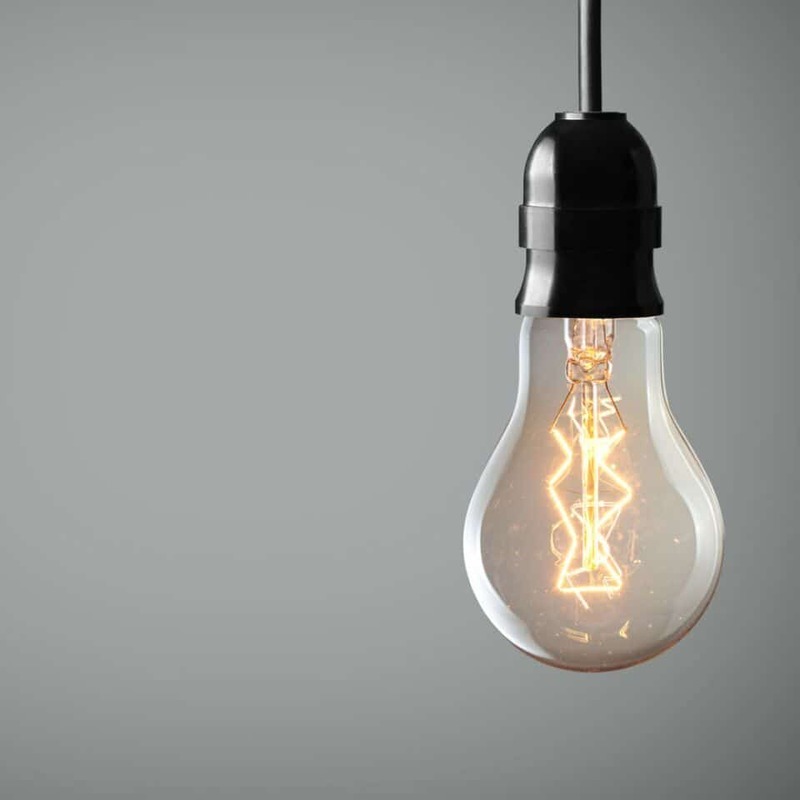 Keeping lights and ceiling fans turned off when not in use is one of the best habits you can develop. According to Florida Power & Light, just one ceiling fan running constantly will add an extra $7 a month to your electric bill! Develop a “turn it off” rule for all overhead lights, lamps, and appliances. Be sure too to fully turn off electronics that go into “standby” mode such as computers and printers, as they are still drawing electricity in standby mode. Unplugging appliances when not in use can help a lot too. Be sure to clean your dryer lint screen before each use to help it run more efficiently. Likewise, keep your air filters clean and changed regularly in order to save energy on heating and cooling the house. 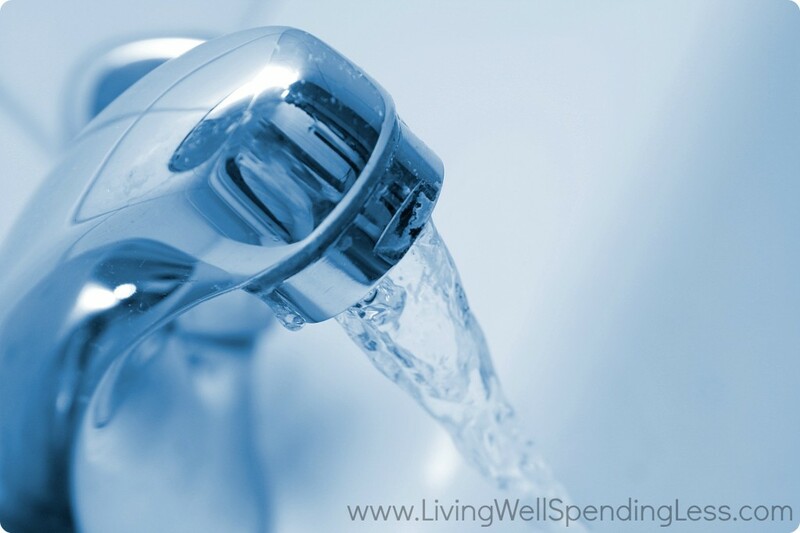 Look for ways to use less water in your every day activities, including adjusting your washer to use the lowest water setting necessary when doing a load of laundry, and not letting the water run while brushing your teeth or washing dishes by hand. Consider replacing shower heads with low-flow heads, or place a bottle filled with sand in your toilet tanks so that they use less water each flush. Hidden water leaks can result in abnormally high water bills, and none of us want to pay for something we’re not even using! If you’re not sure why your bill is so high, do a leak test by checking your water meter right before bedtime and then as soon as you wake up. If the numbers have changed, you may have a leak somewhere. Try these six tips for finding it yourself, or else call a plumber. Drafty windows can be a huge source of heat loss during cold winter months, so be sure to cover them up as much as possible. Use a ready-to-go winterization kit, or create your own with tape and plastic, sheets, or blankets. If the drafts are really bad, consider installing heavy insulating curtains as well in order to improve energy efficiency. Be sure to also keep the damper closed on your fireplace when not in use to eliminate drafts through the chimney. Poor quality (or no) insulation will make your home cold in the wintertime and unbearably hot in the summertime, and can add hundreds of dollars to your utility bills over the course of a year. It is worth the investment to add additional insulation to your attic and walls. Be sure to first eliminate any drafts, as insulation will not stop air flow. If possible, consider setting up your utility bills to be paid with a credit card that offers rewards or cash back, such as Discover. Please note that this is only a good option if you able to be 100% diligent about paying off your balance on time each month. The rewards will be completely neutralized if you have to pay interest or late fees! However, if you are very disciplined when it comes to bill-paying and credit cards, this is a great way to earn a little extra on something you have to pay anyway. When purchasing new appliances or fixtures, be sure to opt for the most energy efficient styles available. This goes for large appliances such as refrigerators, ovens, dishwashers, and washers & dryers, but also for things like toilets, shower heads, and faucets. Consider eliminating land line phone or cable service altogether. My husband and I have not had a traditional land line telephone in years; instead we rely only on our cell phone service. This saves us about $50 each month, or about $600 a year. We also use a ROKU box to stream movies and television shows from Netflix and Amazon Prime which has probably saved us at least $1,000 on cable over the past 3 years. There are no shortage of ways to save once you start looking; sometimes it is just a matter of thinking outside the box! Another great option is to look at a service such as BillCutterz. This innovative service helps negotiate better rates for all your bills, and then splits the difference with you, which means that they only get paid if they are saving you money. You can find out more HERE. 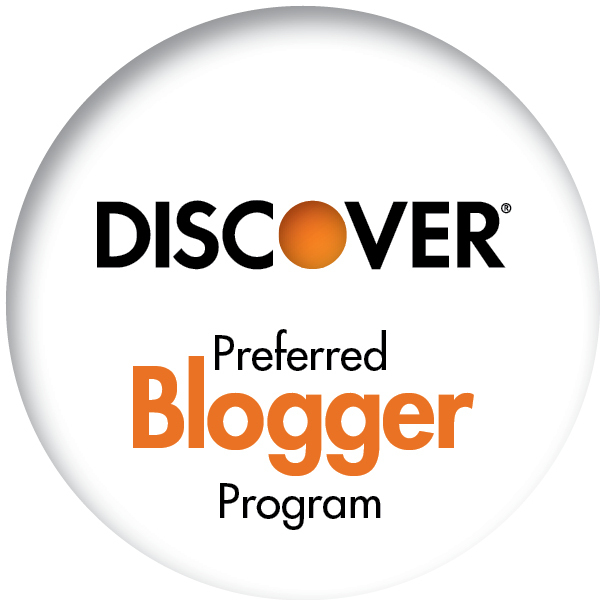 This post was written as part of the Discover Preferred Blogger Program and sponsored by Discover. All opinions are mine. 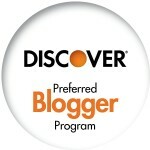 Discover has no higher priority than to reward its customers with the best service in the business. The company is committed to helping its customers spend smarter, manage debt better and save more so they can achieve a brighter financial future. My husband is really weird about pre-rinsing too. I can’t wait to show him this list! Thanks for the great tips! Another tip for saving $$ is to do all your laundry in cold water. Cold water still does a number on stains. Great list of tips! Thanks! We wash everything on cold in our house except for whites. It also allows you to wash everything together. Guarantees you always have a full load. We save by not having smart phones. We keep our house warm in the winter with a wood stove and we unplug all appliances when not in use. We could use better insulation though. That is next on the list! I think this is a very good list except for #4 with dishes. Letting dishes air dry can invite allergens and dirt onto eating surfaces. I think she meant just turning the heated dry off on your dishwasher. Your dishes in the dishwasher will still dry, but without the aid of heat. No need to leave the dishwasher door open. Great tips! Overtime, I find some tips on how to save on electricity and all you wrote are right. I read somewhere that you can wash your clothes in cold water to minimize the cost. Yes washing in cold water saves a lot of money haven’t tried the idea of washing dishes in cold wouldn’t be helpful in winter for dishes though. Ive always washed laundry in cold/tap temp water…works just fine and doesnt shrink or fade clothing. I fill big plastic empty cat litter jugs with the water I run while waiting for bath or shower water to get hot. I keep smaller one gallon size water bottle jugs in the kitchen while I run the water waiting for it to get hot for either hand washing dishes or using the dishwasher, as the water heater is at the other end of the house. I then pour the water into the washing machine and save a huge amount of water that would otherwise go down the drain. I also hang out clothes as often as weather permits. My utilities are extremely low. So worth the time. Great idea. I’ve never heard this one before. I may have to try it out. thanks. Can you add the water to a front load washing machine? Great idea! You could use it to water plants as well!! I use my water from the shower to flush my commode. How can that be done with the new energy and water efficient front loaders? 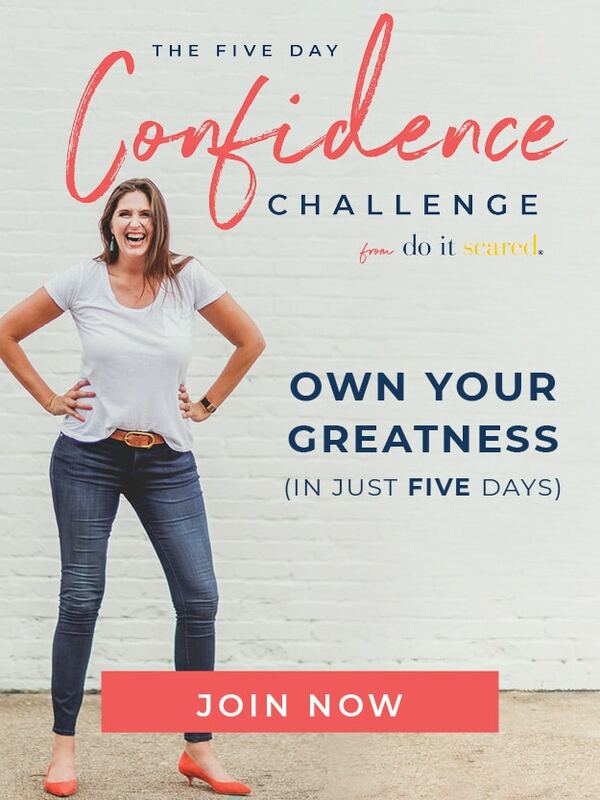 (PS: the link for Discover doesn’t work for me). Same here! Or the internet price is so high when not part of a “bundle” that cancelling cable for a few dollars no longer seems worth it. Wish we could find a more affordable internet options (although I do really like our provider). Open to suggestions! We have canceled our cable/ satellite for 3+ yes now. We got a digital antenna off ebay for $40 & haven’t looked back. 60 channels and free!!! I have a digital antenna and I spent only 17 Dollars for it. May consider only wifi in the home for hone business/work. I have done some of these in my home and they do work and I have seen decreased in my energy bills. When my children were little I replaced our light switches with motion detectors. I never had to tell them to turn off the light in the or the bathrooms or living room after that. We saved allot of money that way. May I also add that down vests, wool beanies and cashmere sweaters are wonderful ways to stay comfortable when you turn things down. And before you think these are too expensive, I have gotten dozens of these items for family, friends and patients at garage sales, flea markets and estate sales for pennies on the actual dollar. I love when people stay core cozy-warm. Its good for your health! I have managed to negotiate discounts on trash service, car insurance, karate class, and even our property taxes by paying in advance and sometimes for several months at a time. I always ask if they have a prepay discount. It really pays off. Hubby and I got rid of cell phones and went back to a land line through NetTalk Duo. It’s a VoIP that costs only $30 /YEAR! We also only have cable for internet access and we stream Nextflix through our Wii game system. Also, many electric companies will tell you what their peak hours are if you call and ask them. Peak hours are the hours that the rates are the highest. In our area (and most areas truthfully), the peak hours are from 6a.m. to 9a.m. and 6p.m. to 10 p.m.. Anytime before, after, or in between, the electric rates are cheapest and that’s when we try to do most of our laundry and cooking (hubby’s on 2nd shift currently so this is easier for us). Cutting shower time to 10 minutes saves on water and electricity. Some people can cut them to under 10 minutes but after my 2 minute showers in basic training, a 10 minute shower is a luxury to me. Black -out curtains work great but I’ve found that sewing my own with insulated lining is a bit cheaper and works a little better. Love reading all the ideas. Thank you! What do you use for your insulated lining on your curtains? I lined all of mine this winter using old plain curtains or ones found in the charity shops with the colour facing out. So my lounge curtain now have a rich pink velvet lining. The back of the house I used old insulated lining from other curtains and a sheet all cream and the patio again I found some lovely burgundy material no longer used in my blanket box. However I was also looking at my old blankets and lightweight duvets for extra wadding. It’s made an amazing difference. The charity shops are the best people throw out amazing quality material that can be cut to size and hand sewn top and sides directly into your curtains, much neater. I pay $100 for cable. I do not use netflix or have any movie channels. I have called the cable co. numerous times to get a lower rate and all I hear is you have the lowest rate we offer. I’m being screwed! Ask for the loyalty department. Most companies have them & it is their job to keep you happy. They have more power to give discounted rates than customer service. Hope that helps. Lorri, call your cable company and ask if they would give you a discount for being a long time valued customer. If not, look around and get a better deal. ( There are cheaper ) Make a list of the must have channels as it will help you pick your package.Take pleasure when you call back to cancel. Or call around, get the best deal you can get in your area and then give your cable company a chance to match Most companies will give you a discount for 6 months or so. If they won’t, why are you still with the? Satellite is available just about everywhere and I have had issues with outages with cable as much as I have had with satellite. Netfix is 7.99 a month or 11.99 for 5 users . Can be access with Wii, Xbox, Bluray. Not a bad deal. . Try to bundle your phone, cable and cable / satellite …. Good Luck..
We invested in several space heaters and placed them throughout our home. We only turn on the ones we need. We have saved ALOT this way. Don’t just turn the TV off; unplug it. Or plug it into a surge bar and turn the surge bar off when TV is not in use. Our electric bill went down significantly each month when we started this. I read on line that appliances left plugged in and unused can absorb up to 40% of each months electricity bill. That seems inflated but I am going to do my own experiment and try unplugging the tv at night. I saw on tv that one person went to the extreme and unplugged the oven when away from the home, as well. Thank you for the tip. It is worth a try. Thank you Ruth for starting this thread and your page. Take care. When the dishwasher starts its drying cycle, open the door and place a folded towel over the top. The trapped heat will dry your dishes without using energy. Also try cutting your dryer cycle short. I can cut my dryers heat time by a quarter by setting a shorter time. Plus the last few minutes are just a cool down anyway. I can skip this step while doing multiple loads of laundry. This helps to keep the dryer from cooling off just to heat it back up. We needed a landline a while back for our alarm, so we got a VOIP line through Oomatelo. It’s a stiff up-front cost, but paid for itself in less than a year in what we weren’t paying in monthly costs for the landline (now we just pay tax and government service fees). Its $4.32 I’ll gladly keep spending. We also have a programmable thermostat, which is a godsend. The best thing to do, though, is to teach the kids to turn lights off and TVs off when you leave the room. Honestly, the little ones are the biggest drain! I run an extra spin cycle after washer is finished to squeeze out a little more water. My clothes dry much more quickly! Aren’t you running the washer more to to run the dryer less? At first glance I don’t see the point. place a dry, large bath towel in your drier when you run it, it cuts drying time in half. I have seen this tip in several blogs. I tried it and it works! I still want to keep a land line for various reasons, but want to start looking for alternatives. Has anyone used MagicJack Plus? I’ll have to look into Oomatelo. My husband and I have discussed cutting back on cable, but he’s such a big sports fan and does watch ESPN and MLB. There is not way you can just get the basic cable and add ESPN. We have to buy their package. Any suggestions? Just wanted to follow up on the Ooma Telo – we did end up buying one from Staples for a pretty good price: sale + rebate + coupon. So far so good. We paid for porting our old number and that took only about a week, even if they said it could take up to a month. Super easy to set up – don’t need a computer, but does require a high speed internet connection via modem/router. As for cable, I went to our provider and told them that a competitor had a special going and what could they do to lower my bill to keep me. They gave us 20% off our monthly cost for a year. I never knew about the toilet water tip. We got rid of Directv in March and the only thing we miss is ESPN. We bought a $70 HD antenna and get to watch many local channels, and we have Netflix and Amazon Prime. It’s great . Other than cutting out the cable and phone services, all the suggestions are minimal savings. For big water saving try reusing rinse cycle washer water for wash cycle water. One can even use the wash water many times. Just drain the water into a tub or a 55 gallon drum. To get it back in the washer use gravity if the drum is high enough or use a pond pump. This is most beneficial in areas experiencing drought. Heating water for cloths is an energy waste and hot water is bad for clothes. I think the point is that minimal savings add up quickly! 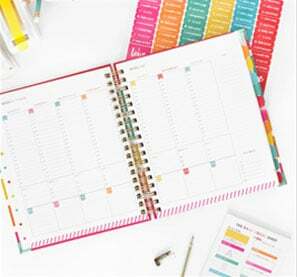 If you do just a few of the suggestions, your yearly or even monthly total will be surprising! Sure, $1 or $2 here and there don’t seem like much, but they add up! I think this is going to be a person by person thing. Some people NEED cell phones, even just cheap, pay as you go ones. Some don’t need them at all, you’re right! But I don’t think that there’s an across the board one right answer for everyone. 68…spendthrifts! 😉 Our heat is never set above 60! It only works for us because we live in a 100+ y/o house with central heat installed sometime in the 70s or 80s. It’s not efficient, and the balance is terrible, so we keep a cold baseline and then zone heat with space heaters (oil based radiant heaters rock) and fireplaces. For us, it’s much more energy efficient to only heat the space currently in use. That tip won’t work for everyone, and it certainly does help that we’re in the Deep South, where it rarely gets very cold for very long. Still, if you think your system is inefficient, do a little study and see which works better. Other tips: put rugs on all hard surface floors, especially if you’re over a crawl space/basement, and make sure all the little crannies are as sealed as possible. Even if you can’t afford more insulation right away, plywood around the bottom of the house, caulk around frames, and draft dodgers help a ton. In addition to emptying the dryer lint trap, it’s recommended to wash it as well. Fabric softener builds up on the mesh and makes it hard for air to get through. To test yours run it under water and see if it sits on top. Make sure the vents are empty too. From what I understand, both of these can create a fire hazard by making the dryer overheat. 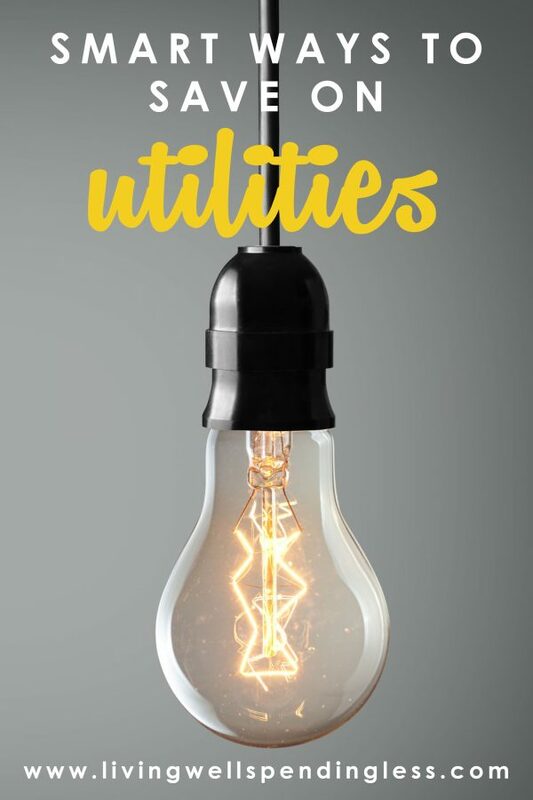 Out electric company sent out some information that indicated the 4 appliances that use the most energy are water heater, refrigerator and/or freezer, dryer and heater. There are a lot of good tips here for most of these. For the refrigerator/freezer they said it costs more to keep just the air cool. So in addition to working on keeping the refrigerator door closed by not standing there with it open staring inside for inspiration, I also keep filled water jugs in the freezer to limit empty space. I keep trying to figure out the best way to save money on tv and internet. I have a Roku and subscribe to Netflix and basic cable-channels 2-14. I want to know more about how well an antenna will work for local networks and what all is involved. And internet seems like a lost cause….I have a landline that cost 10$ a month and a flip Go Phone 25$ a month. Juno internet for dial-up is less than $15/mo. thank you, that is next on my list. As a child of the 60’s, conservation has been important all my life & I do most of the things listed. One I never see is water conservation from showers. I have a bucket in each shower & catch the warm-up water in them. I then pour this in the rain barrels set up under my downspouts or pour directly on the lawn. I have also been told by roomies in hotels that I take the shortest showers of anyone they know. These help a lot on water conservation-important in drought-prone Texas. That’s a great idea! Thanks so much for sharing! I come from one of the European countries, and non of my friends have a landline anymore. Mobile phones are so popular that there is no need to have a stationary phone. I also don’t have a cable tv – the same reason as you – netflix, amazon prime etc. is plenty for me. One thing I’m not doing is to turn off the tv or computer but I’ll do that today. 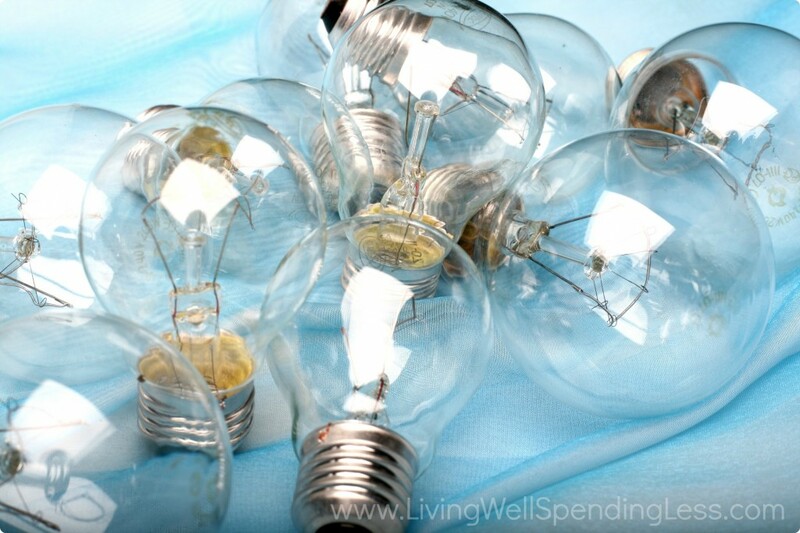 I have energy saving light bulbs all over my home. In the summer house temperature is 80 (70 at night), winter 68 (60 at night). I prefer when when the house is warmer in the summer – not such a huge temperature difference with the outside world. It always bother me when the stores are freezing cold because of the A/C. When we’ll have our own house we will definitely install rain barrels. In the summer garden cloths lines are the only choice for me. As for dishwasher, our (already was in the rented house) is old (in my opinion) that it doesn’t really wash very well. We are planning to invest in our own, one of the new types, we had one like that in Europe and it cleans perfectly and doesn’t heat the air while drying the dishes – they are a little wet (especially mugs at the top) but it doesn’t matter to me. 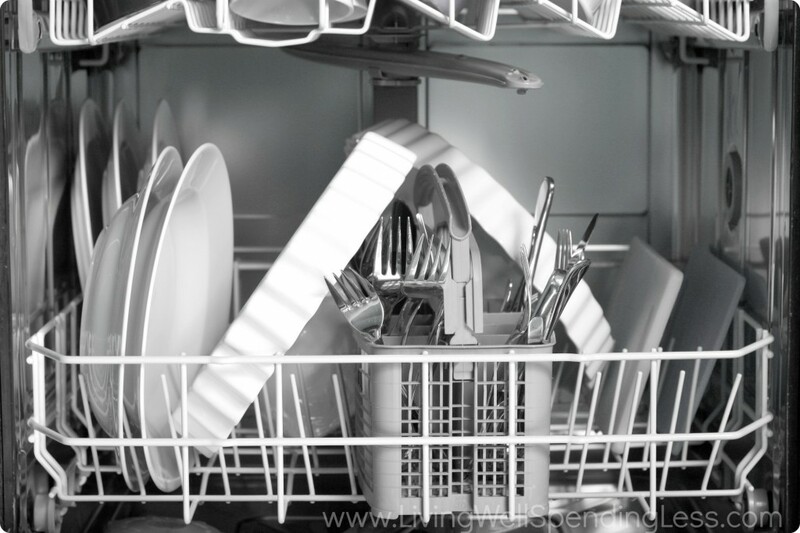 Energy and water savings (very often I need to wash glasses again) is worth spending money on a new dishwasher. it’s fastidious to read this website, and I used to visit this webpage all the time. the web for that purpose, and take the newest news. I was able to cut out the phone land line and keep my phone #, I save my shower water to flush the commode, mop, clean the tub, wash out the mop and broom, wash tennis shoes. I use rain barrels to water my container garden and flowers. Use the clothes line to dry my clothes. Added new windows, extra insulation,line the 2 bedroom windows w/ foil to cut down on the heat in the summer. I use a small lunch pail w/ ice for my drinks during the day to cut down on opening the refegerator , use the energy saver light bulbs, use celing fans instead of the heat pump etc. thanks for sharing your tips. Mildred, you are SERIOUS! You’re going to save our planet…. These two cities have dominated this ranking source for the previous twelve successive years. Galapagos Islands ‘ This destination is worth the number one spot given on this top 10 cruise destination list. explore during Thailand trip are listed below:. such designated about my difficulty. You’re amazing! How to Save on Electricity <Liked it! I do not even know the way I stopped up right here, however I believed this publish was great. may just anybody get that type of info in such an ideal way of writing? These are great tips! In the past I have used a power strip for our entertainment system so I only had to unplug one cord. This may sound odd, but I heard a tip recently to put a brick or, alternatively, an old water bottle filled with water in your toilet’s tank to decrease the amount of water you use per flush. Has anyone tried this? Also, my boyfriend and I have an hourglass timer in our shower that sticks to the tile with a suction cup that we got from out local water company and use that to limit our time in the shower. We keep our apartment pretty cool (at around 65 degrees) and opt to wear slippers and sweaters when we are home. We also make sure to keep plenty of cozy throw blankets and warm tea available. Those are some of the ways that we are saving on utilities in our first apartment that we just moved into last week. After all I’ll be subscribing in your feed and I am hoping you write again very soon! “Thank you, I have learned some stuff here I plan to use. When taking a shower, I always run the water just long enough to get wet. Then, I turn the water off, shampoo my hair and soap my body. Then I turn the water back on to rinse. It’s amazing how much water is wasted by having it on when you don’t need it. I’ve also find that it’s just a habit to turn lights on when we go in a room when we don’t necessarily need it on. I hang clothes out on a line to dry all year, all weather under my patio cover. This saves me a lot, and the clothes smell so nice. Also, I’ve conditioned myself to use cold water instead of warm or hot for most things. And, I let my grass go dormant by not watering in hot weather. I got on Century Link’s Internet Basics program. I pay only $16/mo for high speed internet, $12/mo for online Netflix, and I use the FREE Voip phone service through Google Voice, with texting, voice mail, gmail email, and calls. So I pay no TV or phone bills, only solo internet and Netflix. I use white Christmas tree lights, instead of light bulbs. These are all really great, practical and easy tips. If I can add one more to the list, proper maintenance of your HVAC systems is so important. While you might spend money on repairs, your system will run more efficiently and save on energy bills in the end. 1. I’ve switched out all light bulbs to LED (40w equivalent) Walmart carries them for ~$2 a bulb. Ive also found them for $1 a bulb at Home Depot when on sale. 2. I keep my A.C. no more than 10 degrees cooler outside temp when I’m home during the day and no lower than 76 at night. I immediately switch the temp over no later than 8am. During the afternoon storms, I’ll open windows to allow cross breeze if the temp outside drops and turn off the A.C.
3. Unplug all appliances after use except for fridge and stove. I do not have a microwave *which cuts out unhealthy food habits as well! 4. I cook my lunch & dinner at the same time, usually while eating breakfast. 5. I rarely watch TV – and if I do watch any show, it’s on Netflix or Amazon Prime. 6. My apartment does not have a washer and dryer in unit. While it may seem like a hassle, I use the laundry facilities on site. Sure, it costs $1.50 for each wash and for each dry, but for a single male that’s only $9 a week for 3 loads, max. Plus it’s not on my electric or water bill! 7. I keep all of the doors between rooms closed. This helps trap the hot air from reaching the thermostat from Windows in rooms I may not use often. 8. I have black out curtains on the east/west facing windows. This alone can keep your house 5 degrees cooler in the summer! 9. Check all weather stripping on entry/exit doors every fall & spring. 10. Stopped using heat dry setting on my dishwasher. Run it, and then leave door cracked while not home. Finish drying with a cloth if you must. Because I do a lot of remote programming and development, I leave my cable modem, tablet and 22″ monitor (10 min sleep mode) on or plugged in. On super hot Florida days, my electric bill only hits $1.50 if I play it smart. Oh! And keep your fridge “meal sorted”. Keep all of the ingredients for each meal fairly close so you’re not hunting and wasting time. It may seem OCD, but I’ve cut my monthly electric charge from $80 a month down to $33 with all added surcharges and fees. Far less than what I pay for Internet! These are all really great and easy tips. If I can add one more to the list, proper maintenance of your HVAC systems is so important. While you might spend money on repairs, your system will run more efficiently and save on energy bills in the end. Thanks anyway for sharing this! Great advice. I will wait for your next post. Also you can use discount coupons to get less price on your groceries. Good thoughts habit of saving electricity is beneficial for both money and our environment. Thanks for post. This is a very well written blog. I really liked the content. Really appreciate you sharing this blog article. Really thank you! I have never been one to pre rinse my dishes before putting them in the dishwasher, so I’m safe in that department. However, one thing I am VERY guilty of doing is over using my dryer. Even in the summer i shamefully stick it on to ‘save time’. I will make a conscious effort to only use the dryer when completely necessary. Check your energy market…if you’re in a deregulated electric/gas market, you have a choice of providers. You could save significant money. I switched from the well-known utility in my area to a different one – no change in service AT ALL – and saved 35%. Another way to save on drying, is to use dryer balls. They soften without dryer sheets and after 10 minutes just hang up to dry on drying rack or shower rod. nice content amazing writing style. Very informative and helped a lot. 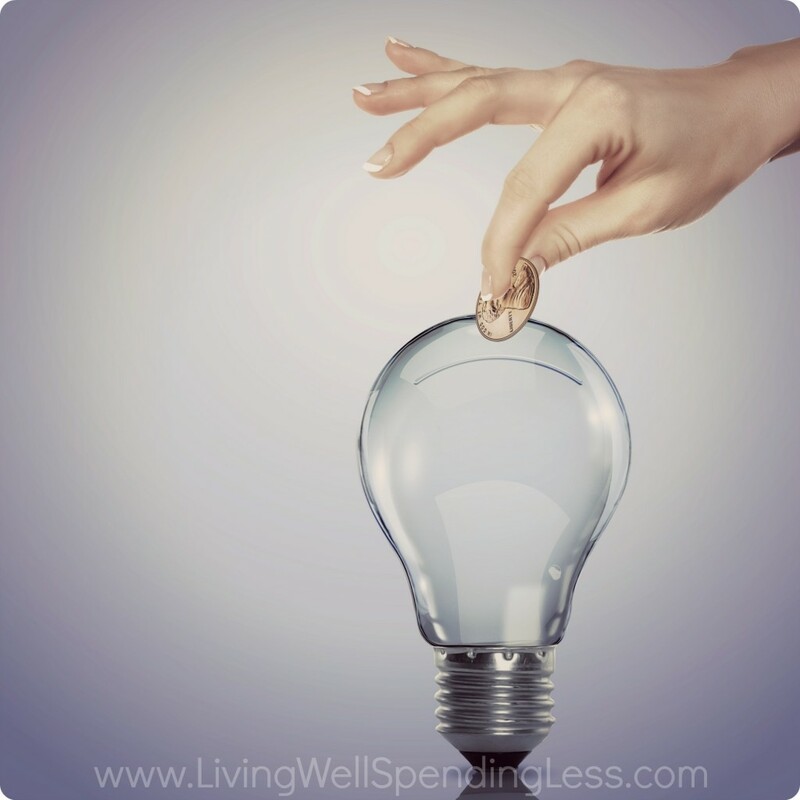 Great ideas on how to save on electricity usage to decrease power bills. Such a very simple point, yet very remarkable. Needed it badly thanks! Thanks for sharing this informative blog post with us. Can you please provide some more information on Discount Coupons In India ?